I have soooo many books in my post today! I read 14 books in August and am reviewing 12 of them in my post today. You'll find a little bit of everything: new favorites, one major disappointment and a number of other enjoyable reads. If you're looking for more book recommendations, check out the linkup at Modern Mrs. Darcy. 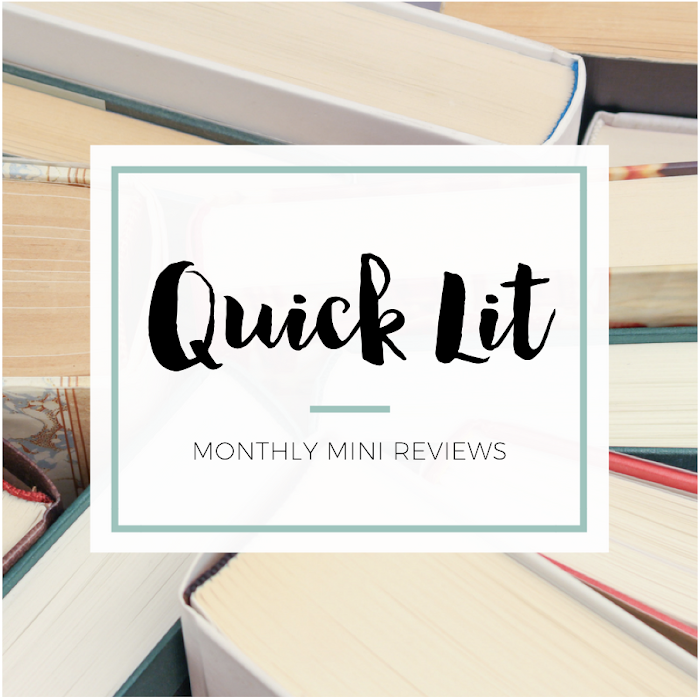 Aside from sharing my July Quick Lit post, I didn't post any book reviews in August. I just never found myself in the mood to blog! However, I just recently shared my review of The Winter Sea by Susanna Kearsley, which I read in August for the "A Book You Were Gifted" Picky Pledge Challenge prompt. I started a series binge in August with The Cuckoo's Calling by Robert Galbraith (a pseudonym for J.K. Rowling) and finished the next two books, The Silkworm and Career of Evil, in September. I'll review those soon! A GROWN-UP KIND OF PRETTY BY JOSHILYN JACKSON | I noticed that my library had this available on audio, and I had to have it! I fell in love with Jackson's narration of Backseat Saints and wanted more. Her Southern twang breathed life into her quirky, funny, lovable characters. I really enjoyed this story of three generations of women who uncover a devastating secret. The three POVs were distinct, the characters charmed me, and I was emotionally invested. While the plot and climax were a little weak, I still So Liked It. THE PEARL THIEF BY ELIZABETH WEIN | Oof, this book. This is the prequel to Code Name Verity, a moving WWII story that I fell in love with a few years ago. I was excited to read about Julie before the war, but I ended up wishing I hadn't bothered. I find Wein's writing really dry, and this was the first time the story didn't make up for that fact. The mystery was dull and predictable, the temporary amnesia was annoying and the pace was so slow. The characters didn't feel realistic or well developed either. I was So Over It. THE NAMES THEY GAVE US BY EMERY LORD | I loved Lord's first two books, Open Road Summer and The Start of Me and You. But I was nervous about this one because I saw that it involved faith and a church camp, and I hoped that Lord would approach the topic in a respectful way. Thankfully, I was pleasantly surprised by how authentic and relatable Lucy's faith journey was. This story felt real, and I honestly think it's Lord's best book yet. I was so emotional and felt it had so much depth without being too heavy. Y'all, I'm So Obsessed With It. THE NIGHT THE LIGHTS WENT OUT BY KAREN WHITE | Confession time: I primarily wanted to read this because I liked the cover. Thankfully, the story inside proved that sometimes you can judge a book by its cover. I loved the Atlanta suburb setting and all the Southernisms peppering these pages. The characters had me invested in the story, which I didn't realize had somewhat of a suspense/mystery vibe. I thought the main character was just a little too dense because it seemed pretty obvious what was going on, but I So Enjoyed It. HERE GOES NOTHING BY KENDRA BROEKHUIS | When I saw the subtitle - An Introvert's Reckless Attempt to Love Her Neighbor - I had to pick up this book. I loved it initially, but it lost steam by the end. It was repetitive and felt like it was all reflection and very little action. The subtitle led me to believe that it was about an introvert challenging herself to invest in her community, but it really wasn't. 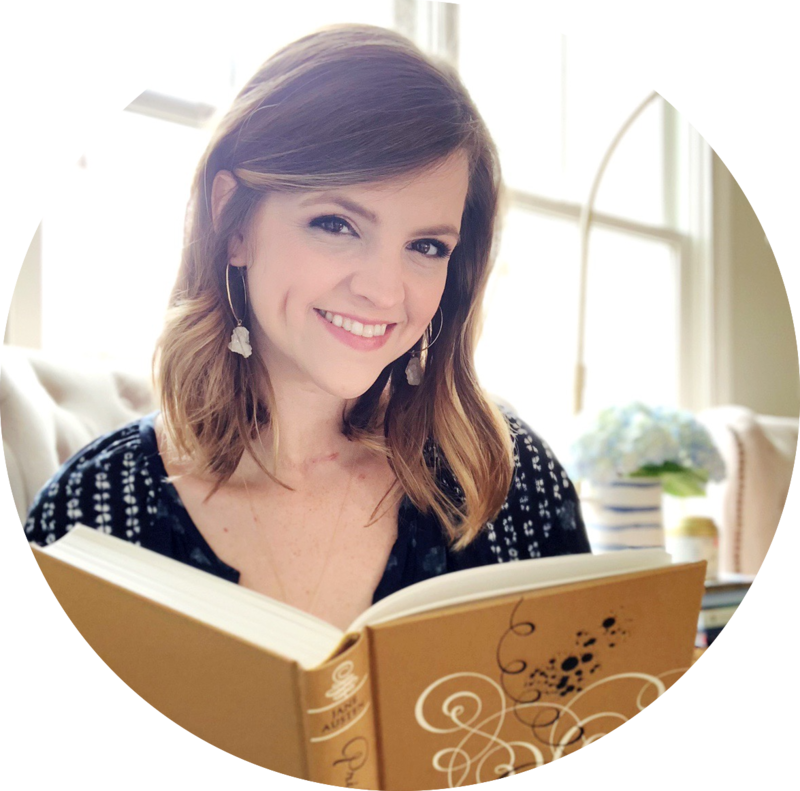 It was just a collection of thoughts on what the author felt like God was teaching her each day. Not what I expected, and I was just So Okay With It. TELL THE TRUTH, SHAME THE DEVIL BY MELINA MARCHETTA | I was intrigued by the news that Marchetta was tackling an entirely new genre: adult mystery. The book somehow managed to be everything I'd expect from a Marchetta novel while also being entirely different from anything she's written before. I adored these characters, this story, the writing, the emotions - ALL OF IT. I was so sad when I finished that I had to go back to a world with no unread Marchetta novels waiting on me. In case you can't tell, I was So Obsessed With It. AFTER HELLO BY MHAIRI MCFARLANE | Mhairi McFarlane is an all-time favorite author for me, and I was excited when I saw this novella on Amazon a few months ago! I liked the idea of revisiting Ben and Rachel (from You Had Me at Hello), even though that's my least favorite of her books. While the novella reminded me of why I adore McFarlane's writing and sense of humor, I wasn't crazy about the story itself. The conflict was frustrating because it was driven by insecurity, but McFarlane's writing made it a So Liked It at least. WORDS IN DEEP BLUE BY CATH CROWLEY | I read Crowley's Graffiti Moon a few years ago but didn't really remember anything about it. However, her most recent release ended up on my radar because Alexa recommended it to me. And I'm so glad she did! I loved the bookshop and the idea of leaving bits of yourselves in the pages of what you read. The romance was sweet, too, but I was so frustrated with one character being a complete idiot for WAY TOO LONG. Thankfully, the writing and themes meant I So Enjoyed It. CROWN OF MIDNIGHT BY SARAH J. MAAS | With the publication of Tower of Dawn quickly approaching, I knew I wanted to re-read several of the previous books in the series. I skipped to this one for the sake of time. Honestly, I never get tired of this story! This was the book that made me truly OBSESSED with this series, and I love re-reading it (this was my fourth time). It's interesting to revisit some of it in light of what happens in the later books, but I'm So Obsessed With It regardless. PS - I listened to the audio and enjoyed narrator Elizabeth Evans! YES PLEASE BY AMY POEHLER | When I spotted this audio at the library, I couldn't resist (since I just watched all of Parks & Rec for the first time). I loved the beginning, a few other sections, and Poehler's narration. However, the drug references and language were off putting for me. Poehler clearly doesn't want to talk much about her personal life, which is her right. But the result is a collection of mostly shallow stories with no real point. I probably would have hated it if I hadn't listened to the audio. As it was, I think So Okay With It seems most fitting. THE AUTUMN BRIDE BY ANNE GRACIE | This is the first in the Chance Sisters series and was a gift to me from Kelly. I ended up finding the audio at the library and listened to it in about a day - the perfect companion as I cleaned my house! I loved the friendship between the four girls, their loyalty to one another and how their fortunes changed when they met Lady Bea. I wanted more development of the romance, however, because it took such a backseat to all the other storylines. But I still So Liked It and will continue the series. * I received a copy of this book from the publisher for review consideration. This did not affect my opinion of the book or my review. Words in Deep Blue came in at our library and I was curious about it. I may have to go check it out. I assume it will be a quick read since it's junior fiction.